Etched with a lace pattern, these earrings have 6 petals with a detachable chain to transfrom them from day to night. Set with a garnet stone at the top of the earring. 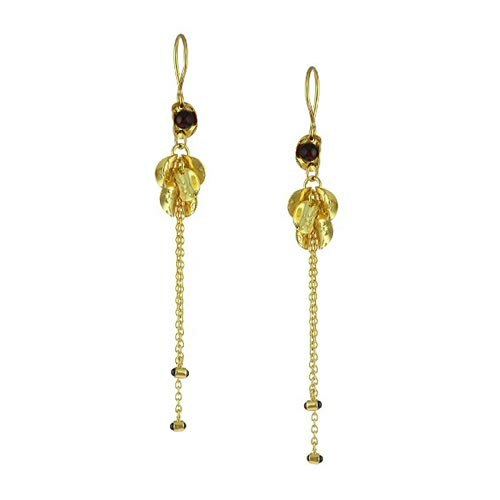 These earrings are both unique and beautiful to wear both during the day and evening.